Metro-Goldwyn-Mayer, once the great studio of Hollywood glamour and prestige, now a mere shadow of itself, is brought back to life with this two-disc, three-part, six-hour saga. The series, which originally aired on Turner Network Television in 1992, chronicles MGM from its heyday to downfall. Unfortunately director Frank Martin channels the melodrama of those early films to create a tone of pompous self-importance. Patrick Stewart, who in 1992 was at the height of his fame, introduces each segment dressed in a ridiculous robe and cravat, looking through a telescope into the fake stars behind a garish studio style set. With today's eyes it's as dated and painfully overwritten as those sickening musical montage tribute numbers we used to see at the Academy Awards. A roll call of greying movie stars like Helen Hayes, Lillian Gish, Maureen O'Sullivan and Mickey Rooney wax poignantly and exaggerate on what sounds like tall tales of bombastic studio moguls, temperamental directors and other Hollywood hyperbole. As a time capsule of the studio system though it's remarkably comprehensive and never uninteresting. From the studio's founding in 1924 to Hollywood's "greatest year," 1939 (the year of "The Wizard of Oz" and "Gone With the Wind"), to its steady downfall in the '60s, nothing is left on the cutting room floor. We get to see clips, interviews and anecdotes from some great film rarities. The clips from the original 1925 "Ben Hur", then the most expensive movie ever made, are remarkable. 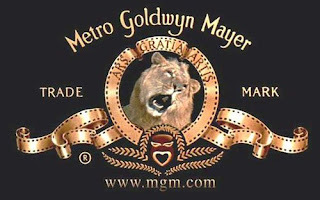 MGM has managed to stay afloat thanks to its smart brand marketing of this Hollywood mythology. This film and its musical compilation series, "That's Entertainment", continue to keep alive this remarkable period of creative production and remind us to look back at these roots of cinema to inspire us today. Look past the hackneyed gloss and it's a must see for any film buff. Enjoy.